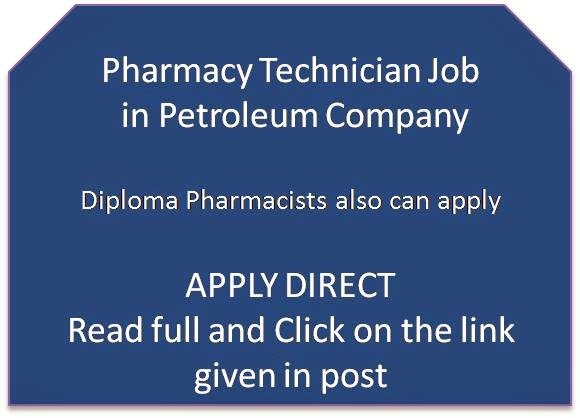 Have you ever thought about developing a career in Pharmacy with a world famous Petroleum company. Here is a golden opportunity to become a Pharmacy Technician in this great organisation. While going through the details, we found that the company is very much careful about fraud in recruitment for their company. So, If you are interested in the vacancy for Pharmacy technician, you may please apply direct, through the official website. They have mentioned some important points which is as given below. The sentences are not modified, in order to get the exact understanding for our readers. "Please submit your applications only against those positions where your qualifications and experience match our requirements. QP Recruitment will only accept CVs that are submitted through the online application process for advertised vacancies. Unsolicited CVs and job requests sent to Webmaster or via Contact Us forms cannot be processed. •The Applications system works only on the Windows operating system. Macintosh and other operating systems are not supported. •The Applications system will allow you to have up to three active submissions in our database. •Active submissions expire after three months. You may then submit your CV again. •Applications can only be submitted in English. •The Application system requires that Java is enabled on your computer. •The maximum size for CV attachments is 9.5MB. Only one attachment per application is permissible.?? Minimum experience requirements are not mandatory for Qatari applicants"